Laura Ash is a clinical herbalist, a triple Scorpio, a queer woman, dancer, storyteller, and social entrepreneur. 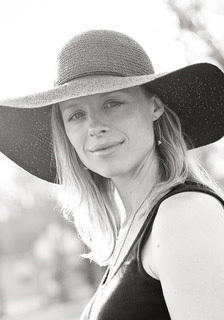 In 2006, Laura graduated from The California School of Herbal Studies in Clinical Herbal Medicine while running a chai tea company, and in 2008, Laura co-founded Avra Organic Spa in San Francisco. Laura has studied in clinic and privately with many teachers; David Hoffmann, Matthew Wood, Dr. Vasant Lad, to name a few. She has also been a guest lecturer teaching western herbalism at UW Madison. After living overseas in the UK and East Africa, Laura has felt a sacred obligation to support Indigenous People in their health sovereignty, and in 2011 she started a nonprofit called Herbal Anthropology Project which has protected Maasai Traditional Medicine in Tanzania through the framework of the Traditional Knowledge Division of the World Intellectual Property Organization. Laura currently lives in San Francisco, California with her two children and her partner, and is the owner of The Scarlet Sage Herb Co., a herbal apothecary founded in 1995. Laura is passionate about helping women find their way in the business world, creating more financial security for themselves and their comrades.